Here in the US, today is known as Black Friday, the busiest shopping day of the year. It's also the day that it is socially acceptable to recognize that the holidays are here, and to start decorating! 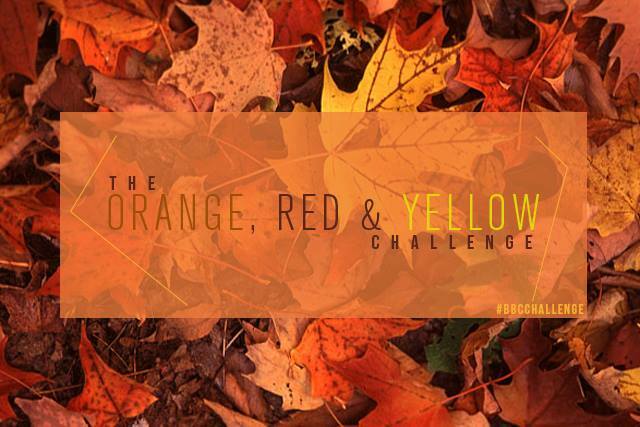 So, while I'm still thinking of Fall, and Fall colors like the ones for today's BBC Challenge, I'm interpreting them in a holiday way! It never really gets cold enough for true sweater weather here in Florida, but I thought it would be fun to celebrate the season of the 'ugly Christmas sweater' through today's challenge. 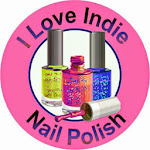 I used all three colors, plus a little bit of black, in a funky plaid sweater pattern. The base of the nailart is a sparkly yellow-to-orange gradient, starting with Sally Hansen Salon Hello Sunshine, and ending with LeChat Dare to Wear Orange Blossom. Then, I stamped the plaid pattern in Sally Hansen Insta-Dri Rapid Red, and added a few black lines for contrast. 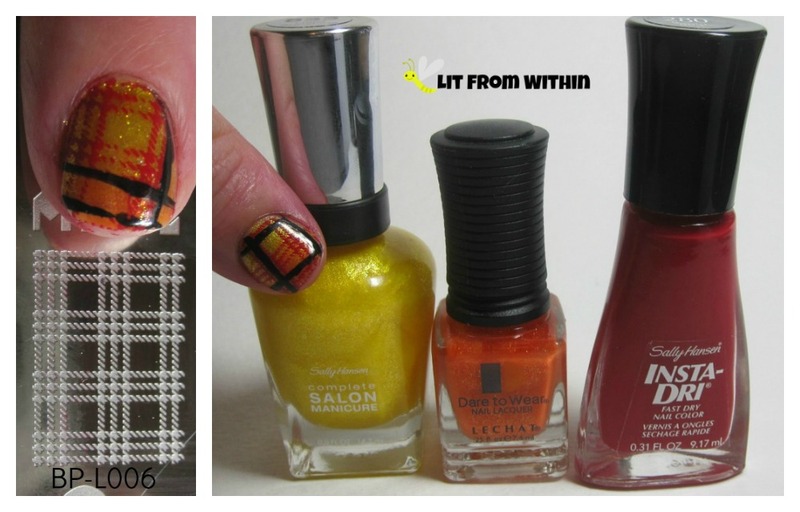 What I used: Sally Hansen Salon Hello Sunshine, LeChat Dare to Wear Orange Blossom, Sally Hansen Insta-Dri Rapid Red, a black striper, and stamping plate BP-L006. Can't you just imagine this at an ugly sweater party?